Graphing practice on dry erase saves paper! Bold lines separate board into quadrants each 20 squares by 20 squares; total grid is 40 squares by 40 squares. Individual squares measure 1/4" x 1/4". Plain work space is 11" x 5-1/4". 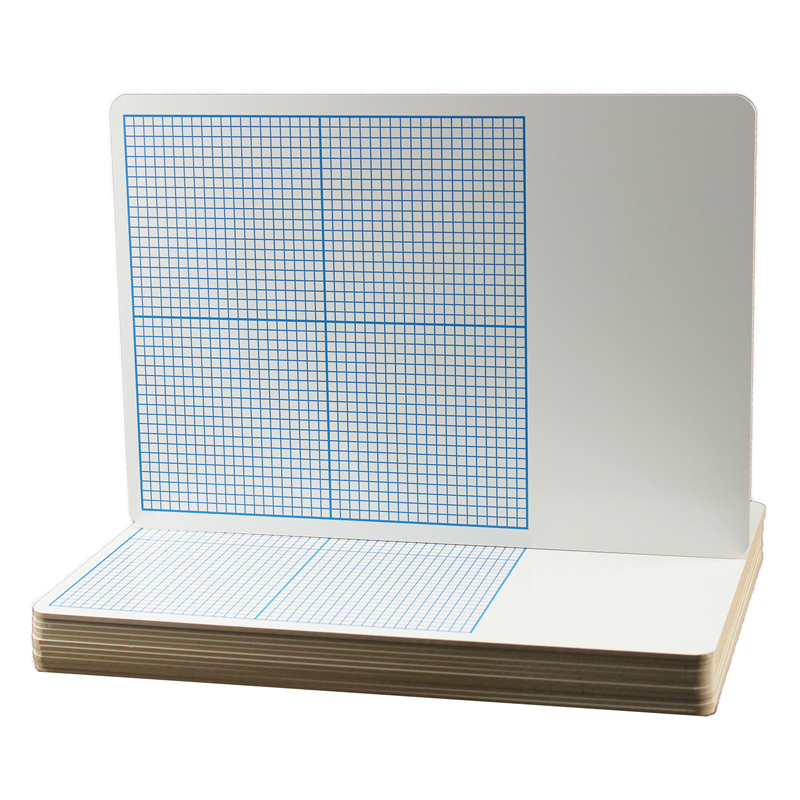 Boards feature non-ghosting dry erase surface with rounded corners and smooth edges for safety and comfort. Durable hardboard backing is warp and chip resistant. Measure 11" x 16" x 0.125"